Today I lost my Macy too... she filled me with so much love that it eased my pain with Rex and I didn't post much... suddenly she's gone! Unexpected and I'm overwhelmed. 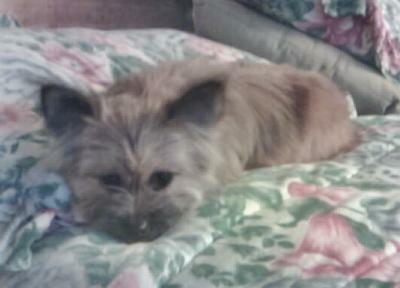 Macy won my heart... she bonded with me like a child to parent... she showered me with kisses all the time... I miss her and this house full of life just died. I don't know if I can survive this emotionally, I love you my Macy bug.